Does your home or one of your farm buildings need a new roof, new siding or both? Give FS Construction Services a call today! At FS Construction Services, we offer a wide array of services, including high quality metal roofing and siding options that are sure to meet whatever needs you may have. Along with our partner, Fabral, we can provide metal roofing and siding designed to last decades without losing its aesthetic appeal. 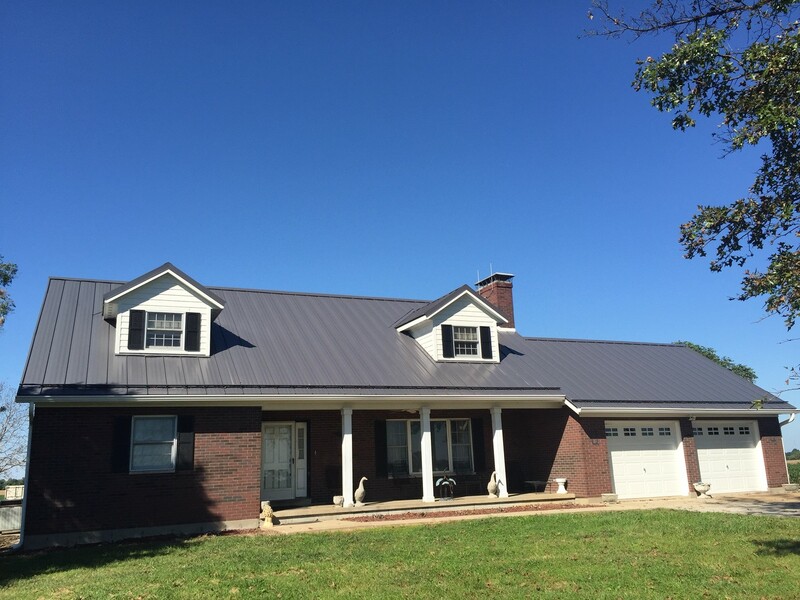 Completely re-roofed by the metal roofing and siding specialists at FS Construction Services, this lovely home now has a functional and beautiful charcoal gray Fabral metal roof. After removing the shingles, the FS Construction Services team installed a 26 gauge, Horizon S, standing seam metal roof by Fabral. This new, impressive 5,000 square foot metal roof project also included the fitting of a Snow Break roof rail system and seamless gutters. Finishing off this job, our craftsmen installed LP Smartside siding, soffit and fascia. The customers were thrilled with the new look of their home and the no maintenance durability as well. Whether you are looking for new metal roofing or siding for your home, barn, business, or other building, we at FS Construction Services are here to make your job of selecting your new siding or roof easier. Together with our partner Fabral, we provide the finest quality of metal roofing and siding available with the widest variety of colors and finishes from which to choose. Not only will you have the best, most durable metal roofing or siding product offered, it will also be the most attractive. Also, be sure to ask about the $500 Energy Star tax credit. Fabral Energy Star approved metal roofs qualify for this energy efficiency tax credit. At FS Construction Services, we are here to provide you with roofing and siding that you want – on time and on budget. As one of Southern Illinois premiere builders, Gateway FS Construction Services seeks to give you the best siding and roofing options at the best possible price. For more information regarding your roofing and/or siding needs, please do not hesitate to contact us at 866-551-3454. We look forward to providing you with the best customer service experience. For years, grain experts have been predicting that, based on the current projection of grain production and usage, a grain storage shortage was imminent. For years, corn and soybean production has been outpacing permanent grain storage capacity. Now it appears that prediction has at last come true with the 2016 crop. While the good news is that United States farmers will harvest a record amount of grain this fall, the bad news is that farmers lack the permanent grain storage necessary to properly and safely store their predicted 2016 bumper crops. Experts currently estimate that the 2016 corn and soybean harvest will exceed the storage space available by approximately 20-22%. This means that harvest crops will be in temporary storage until perhaps past January. The unknown variable impacting the length of time that temporary storage is needed is the amount of rainfall. For most producers, this means they will have to store their crops in outdoor piles, both tarped and non-tarped, depending on the potential estimated loss. Temporary outdoor storage needs to be constructed as soon as possible as the harvest season is quickly approaching. 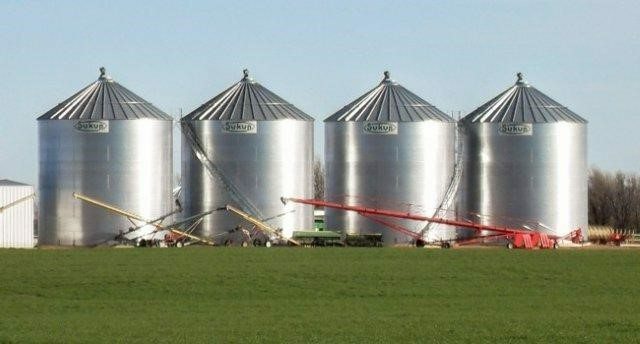 While it appears that utilizing temporary storage this fall seems unavoidable, the team at FS Construction Services is here to help you plan long-term and ensure you meet all of your future permanent grain storage needs. 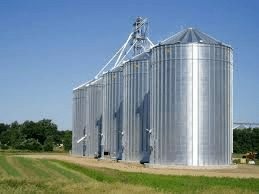 At FS Construction Services, along with our partners GSI, Sukup and Brock, we offer the best in grain storage systems. 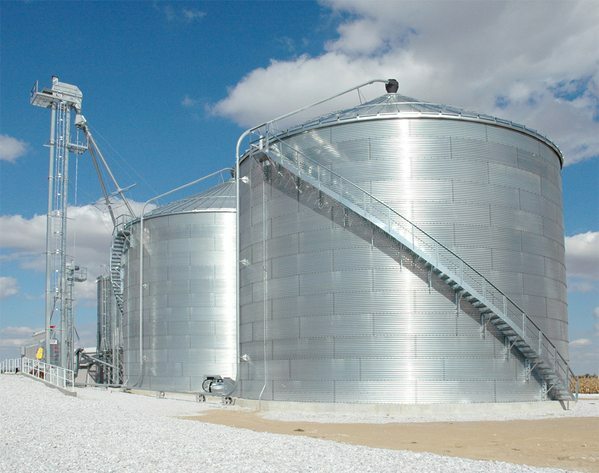 By planning now, FS Construction Services can work with you to choose the best permanent grain storage system for you. We provide a variety of permanent storage options including water-resistant roofs, structurally sound sidewalls, wide-mouth fill holes, and more. By choosing a grain storage option with FS Construction Services, you can be confident that your grain will be safely and securely stored until you are ready to take it to market. Whatever your grain storage needs, you can count on our professional team at Gateway FS Construction Services. Give us a call at 866-551-3454 and let us help you meet your specific grain storage requirements. We look forward to providing you the best customer service experience. Does Your Grain System Need Maintenance? At FS Construction Services, you know that we install, design, plan and build grain systems to meet your every need. Along with our partners GSI, Sukup, Shivvers, Brock, Hutchinson and Lowry, we offer the finest grain drying, handling and storage systems. However, did you also know that we service all of the equipment and machinery we install? The professionals at FS Construction Services are prepared year-round to do whatever it is you need to keep your grain systems operating smoothly. Whether you need general maintenance in order to prepare for the upcoming harvest season or have an inoperative piece of equipment that needs repair, our team at FS Construction Services is here to serve you. While we at FS Construction Services perform grain systems general maintenance and specific repairs throughout the year, during this harvest time of year it is important that we particularly stress the importance of service maintenance. Although some may think of general maintenance as a potentially unnecessary expense, it is true that a pre-harvest service call to the professionals at FS Construction Services could save you major time, inconvenience and expense while ensuring that you keep your grain systems machinery operating 100% operational. It is key for your operation to make sure that all equipment performs as needed when it should and periodic and especially pre-harvest maintenance is a critical for this to occur. However, even sometimes the best maintained equipment breaks down. And if it does, FS Construction Services is here to help. Our service technicians are professionals at preemptive service and maintenance and also assessing and addressing a current operational malfunction. Contact us today at FS Construction Services to schedule a maintenance check-up for your grain drying, handling and storage systems. Whatever your grain system maintenance or repair needs, you can count on our professional team at Gateway FS Construction Services. Give us a call at 866-551-3454 and let us help you meet your specific maintenance or repair requirements. We look forward to providing you the best customer service experience.